May also be referred to as broken color or color breaking. Multiple genetic mechanisms are likely involved, either singularly or in combination, in the formation of the various phenomena resulting in variegated, or broken color flowers. 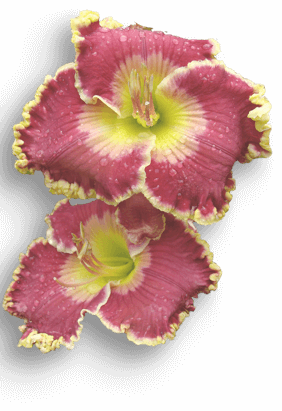 Presently, no genetic mechanisms have been positively identified in daylilies. 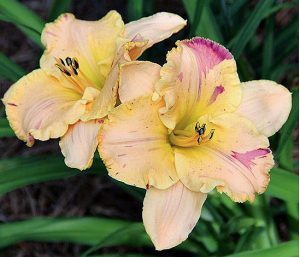 Viruses can cause flower variegation in other plants, but are not known to be a factor in daylilies.